This condition can affect up to 20% asthmatics and up to 40% of asthmatics with nasal polyps. It should be considered when there is a history of worsened asthma or asthma attack after taking aspirin. Despite the name Aspirin Exacerbated Respiratory Disease (AERD), it can also occur if the person take NSAIDs (non steroidal anti-inflammatory drugs) such as ibuprofen, ketorolac, naproxen. It is thought that in patients suffering from this condition, aspirin and NSAIDS blocks the production of “good house keeping” signaling chemicals called prostaglandins and instead shunt the body to produce more inflammatory chemicals called leukotrienes. These inflammatory chemicals can cause symptoms in AERD such as nasal congestion, runny nose, wheezing and shortness of breath. All medications of the NSAID class should be avoided in this condition. However, there are some painkillers that can be safely taken such as acetaminophen, salsalate and celecoxib. 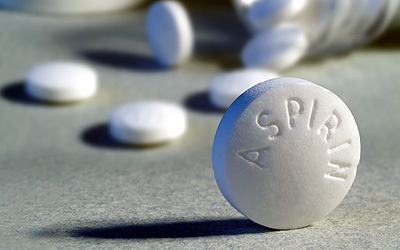 Some patients can benefit from aspirin desensitization which has shown to modify the condition and improve sense of smell, improvement in asthma and reduction in nasal polyp growth. Patients with initial stages of the disease can present with chronic sinusitis with nasal polyps. They then later develop asthma which is exacerbated by aspirin or NSAIDs. A qualified Allergy & Immunology specialist can properly evaluate patients with asthma and chronic sinusitis.